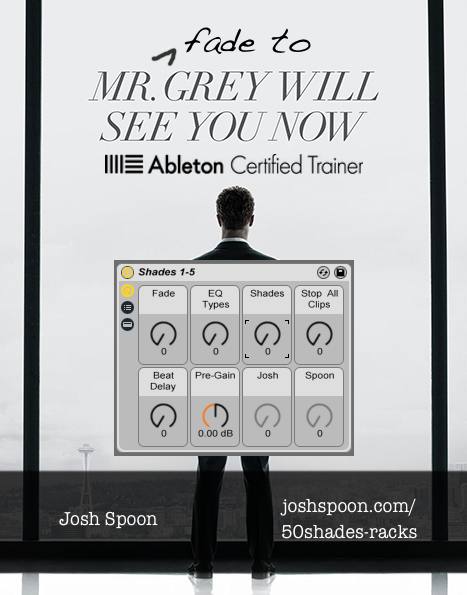 50 Shades of Fade to Grey, Other effects bundle or multi-effect from Josh Spoon. Josh Spoon’s first effect pack for Live may be much more exciting than the « must-see » movie currently in theaters worldwide. Josh Spoon is an electronic musician/producer and certified Ableton Live trainer who developed a 50 fade effect pack for use in Live 9. 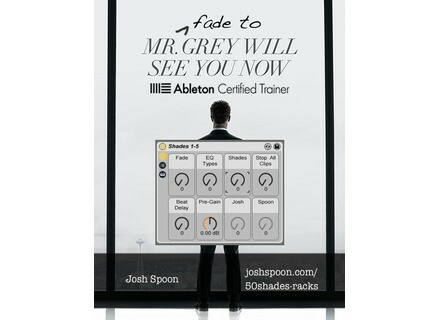 50 Shades of Fade to Grey features 10 racks of 5 fade effects each, with 5 types of EQ. You can modify the effects and EQ types on the fly and the add-on can stop all the clips of the Max for Live devices. Ableton releases Live v9.2 public beta Ableton announces the availability of the public beta of its Live v9.2, which includes improvements for the DAW and interaction with Push. -30% off Bela D choir libraries Bela D offers a 30% discount off its choir libraries for Kontakt 4 and 5 until March 1st. Jellynote available for free on Android After the release on iPad late 2014, Jellynote launches its song learning app on the Android platform, for free!